One understanding of child maltreatment is limited in that it is based almost entirely on research and clinical experience in Western nations. The cross-cultural record, a "natural laboratory" of human behavior, allows a consideration of child abuse and neglect from the perspective of a wider range of social and environmental conditions. 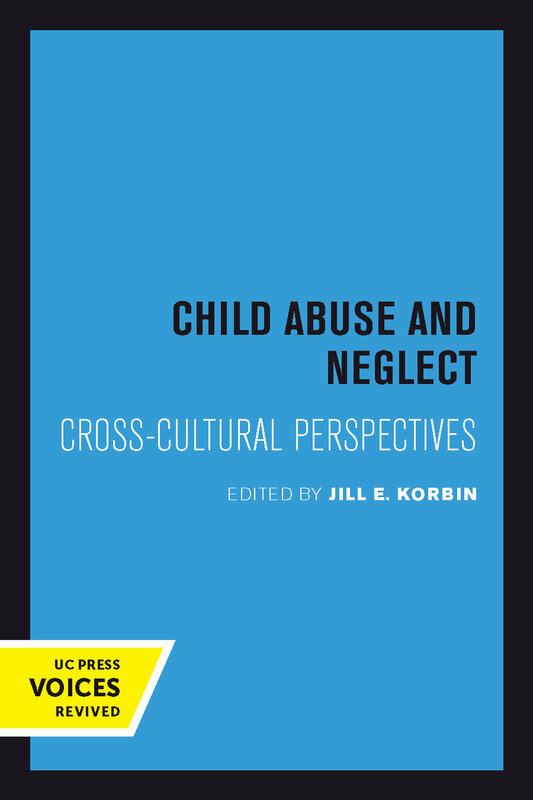 Each of the nine original essays in this volume examines child-rearing practices and child maltreatment in the context of a culture very different from our own. There is no universal standard for optimal child rearing, nor for child abuse and neglect. Seeking culturally appropriate definitions of child abuse, the authors stress the socialization goals of the particular cultural group, the intentions and beliefs of adults in the group, and the interpretations children place on their treatment. The authors differentiate practices such as harsh initiation rites, severe punishment, or, conversely, many Western practices viewed as abusive by other cultures, from idiosyncratic mistreatment by individuals. They further distinguish idiosyncratic child abuse and neglect form the suffering caused children, and their families, by circumstances such as poverty, food scarcity, and disease. Though several of the essays focus on the socioeconomic factors implicated in the etiology of child abuse (particularly rapid socioeconomic change), they indicate that cultural factors determine how a society will respond to negative socioeconomic conditions. The authors concur that while children may be exposed to considerable hardship in these non-Western societies, harm at the hands of individual caretakers is rare. They consider factors in the cultural context that may act either to increase or to decrease the likelihood of child abuse and neglect. Among these factors are the value that a culture places on children in general, categories of children that are more vulnerable to mistreatment, beliefs about the developmental age capabilities of children, and, most important, the embeddedness of child rearing in a network of kin and community that extends beyond individual biological parents. Contributors:Forewords by Robert B. Edgerton and C. Henry KempeOrna R. JohnsonJill E. KorbinL. L. LangnessSara LeVineRobert LeVineEmelie A. OlsonThomas PoffenbergerJames Ritchie Jane RitchieHiroshi WagatsumaDavid Y. H. Wu This title is part of UC Press's Voices Revived program, which commemorates University of California Press’s mission to seek out and cultivate the brightest minds and give them voice, reach, and impact. Drawing on a backlist dating to 1893, Voices Revived makes high-quality, peer-reviewed scholarship accessible once again using print-on-demand technology. This title was originally published in 1981. Jill E. Korbin is the Lucy Adams Leffingwell Professor and Associate Dean in the College of Arts and Sciences at Case Western Reserve University. She is also Director of the Schubert Center for Child Studies, Co-Director, Childhood Studies Program, and the President-elect of the Society for Psychological Anthropology.